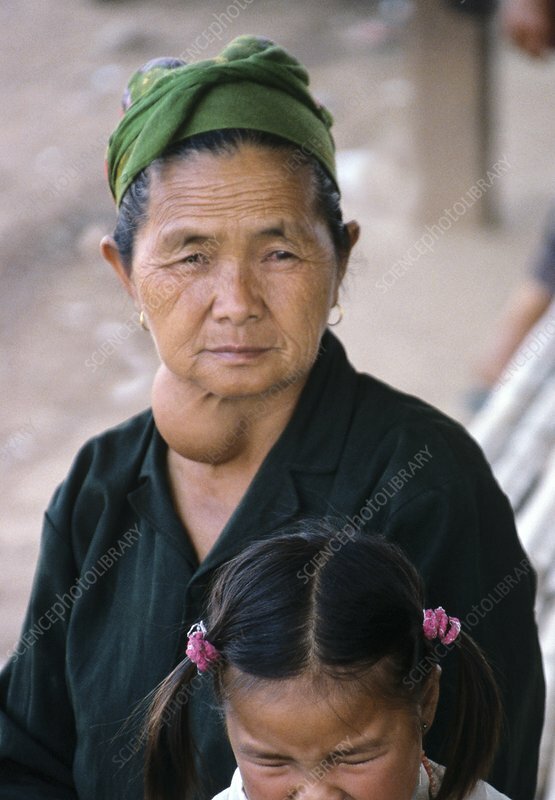 Woman with a goitre, a swelling of the neck caused by the enlargement of the thyroid gland. Goitre may be caused by a lack of iodine, by Graves' disease, or more rarely thyroid cancer. Most commonly a goitre forms because of a lack of iodine in the diet. Iodine is necessary for the production of thyroid hormones, and the thyroid gland enlarges in an attempt to increase hormone production. Treatment may include an iodine-rich diet of fish and iodized salt. Photographed in Laos.